A Norwegian runologist has cracked an ancient Viking code that was used for frequent communication, similar to modern text messaging. An ancient code that dates back to 12th or 13th-century Scandinavia has been deciphered by runologist K Jonas Nordby from the University of Oslo. Rather than conceal sensitive information, Nordby believes the code was used for more everyday purposes. Known as the jÃ¶tunvillur code, the cipher is found on only nine inscriptions, all from different parts of Scandinavia, and has never been interpreted before. 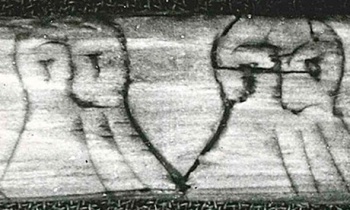 Nordby cracked the code after studying a 13-century stick on which two men had carved their name in both code and in standard runes. "The thing that solved it for me was seeing these two old Norse names, Sigurd and Lavrans, and after each of them was this combination of runes which made no sense," said Nordby, who is writing his doctorate on cryptography in runic inscriptions from the Viking Age and the Scandinavian Middle Ages. Nordby says that the sticks on which the code has been written are "everyday objects, so you often find names on them, either because they used them to communicate that it was something they wanted to keep or sell, or for practicing writing, or because they were talking about people so names occur frequently". While many rune sticks have been excavated, just a few use codes, and even fewer use the jÃ¶tunvillur code. "They were used to communicate, like the SMSes of the Middle Ages - they were for frequent messages which had validity in the here and now," Nordby said. "Maybe a message to a wife, or a transaction." The runologist pointed out one example that is believed to say "kiss me." Nordby also believes that codes like jÃ¶tunvillur could have had educational purposes. "It seems more and more clear that coded runes were not for keeping secrets, not for sensitive communications such as during the Second World War, or like for today's secure communications," he said. "But that actually, they were used to get to know the alphabet, or rune names. What if codes were used like a game, playing with a system? With jÃ¶tunvillur, you had to learn the names of runes, so I think codes were used in teaching, in learning to write and read runes." I wonder what future cryptographers and historians will have to say about text speech.